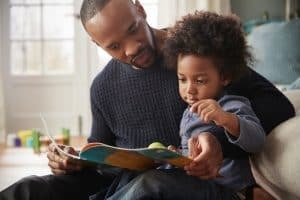 Home/Divorce/Does Divorce Court Do Right by Dads? Jake is a divorced dad who was prohibited from seeing his children by a civil protection order that his ex-wife was able to obtain by telling the court that he had dangerous mood swings, blocked her Internet access, and tried to obstruct her from driving away with the kids. Even though Jake denies these allegations, he was still prohibited from seeing his children. Reporter Lisa Ling spoke to fathers about how they are treated by the court system in a CNN original series, “This Is Life.” Jake’s story is featured, as are the stories of other fathers who feel they have been denied access to their children, or have been treated unfairly. A Washington Post article reports on a Maryland special Commission on Child Custody Decision Making, which met for over 18 months and heard from more than 200 stakeholders including judges, family law attorneys, and mental health professionals, and studied how child custody decisions are made in family courts. Although the final report was issued in 2014, the reforms recommended have yet to be put in place. The current standard in Maryland is the “best interest of the child”; however, many activists, including fathers’ rights advocates, are pushing for the presumption of joint custody standard. The 330-page report recommends that Maryland adopt a custody statute, which guides both litigants and judges about the considerations made in custody decisions, that parties in custody disputes submit parenting plans, and the terms “custody” and “visitation” are replaced with “parenting time” and “decision-making responsibility.” It also examined whether gender discrimination exists in custody decisions, and if so, how to address it. The Commission recommended that judges be educated to identify and eliminate explicit and implicit bias in decision-making. As the Post story reported, the Maryland Commission opted against changing the standard to shared parenting because they believe that judges still need to have the discretion to determine what is in “the best interest of the child,” as not every co-parent is equipped to share custody. The CNN story included some questions and answers for fathers who have encountered challenges with child custody issues. If a father is having trouble paying child support, he is advised to make a good-faith effort to keep up with payments and to hire a lawyer. If he can’t hire a lawyer, he can still seek legal advice and support from nonprofit organizations, like the Anne Arundel Bar Association, who may be able to direct him to an attorney offering pro bono services. When it comes to rights for unmarried fathers, fathers were advised to step up and voice their intention to establish a relationship with their children. As for the fate of dads like Jake, who feel that protection orders are unfair, the CNN story reports that they probably protect more people than they hurt. Civil protection orders are protective in nature, and most judges – if they believe that the spouse who filed for the order and/or the children are in danger – will issue a temporary protective order (or peace order, depending on the circumstances), erring on the side of safety. Facing a child custody dispute can be challenging for fathers and mothers. Having the support of an experienced Annapolis child custody attorney on your side will help ensure that the child’s best interests are always protected. At Cynthia H. Clark & Associates, LLC, we fight for the best interests of your child. Our divorce attorneys are here to represent you in all matters of family law. You can schedule a consultation at our office in Annapolis by calling 410.921.2422 or filling out our contact form now.